Thumbs Up EP-1R2 incorporates the well proven 22 degree beveled EP grip. 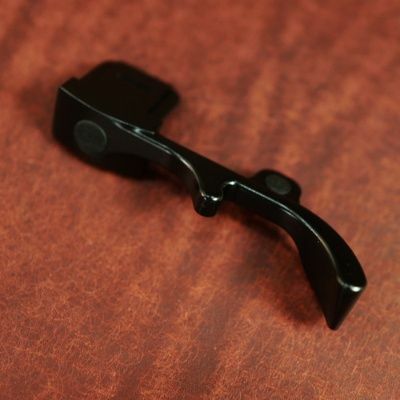 This thumbs rest profile provides a most efficient shape for holding your Sony camera more securely and more comfortably. The special EP profile substantially reduces grip pressure points and helps reduce camera shake. An additional small thumb rest provides an alternative fit and feel. With the Thumbs Up EP-1R2 your Sony RX1RII will have the feeling of a larger camera but with the advantages of is compact size. The Thumbs Up EP-1R2 provides a natural feeling and sense of security to your compact Sony. You can easily hold your Sony RX1RII securely with one hand without accidentally disturbing the position of the Auto Exposure Compensation dial, Program Thumb Wheel or image Play Button.